We are Manufacturer, Supplier, Exporter of Variable Voltage / Current Variable Frequency Source. This product also known as AC Voltage Source / AC Current Source, Frequency Source, Variable Source. We are also specialized in Calibration Services ( Calibrator ). Our setup is situated in Pune, Maharashtra, India. Variable voltage/current variable frequency source is used to simulate mains conditions of different countries. Also it is used for verifying frequency response of power devices, frequency relays and components. 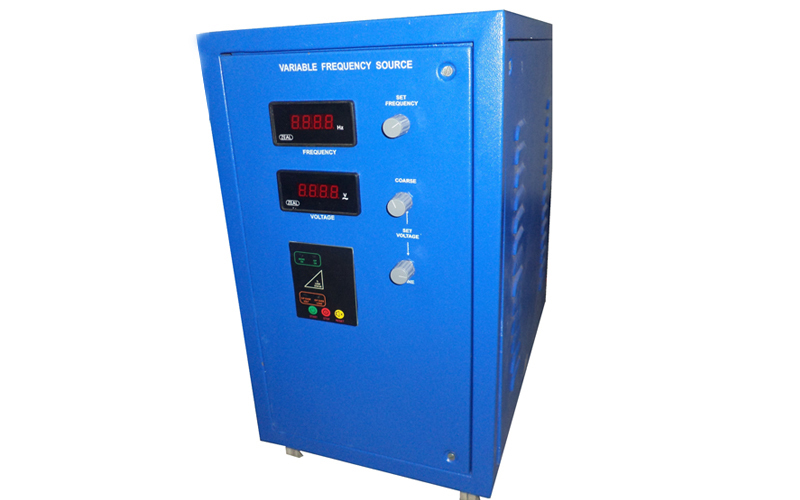 Variable current variable frequency source are used for checking current transformers.